The December Editorial in the science journal Nature says “The weird weather just keeps on coming.” Nobody can avoid that. Europe had it’s Lucifer heat wave last summer, and the deadly trials of California keep on coming. It snowed heavily in the Sahara last week, and Australia is wildly hot, with fire risks beyond the highest level. A listener in Maryland said the temperature went from below zero Fahrenheit to a shirt-sleeve 60 degrees within 24 hours. The Mayor of Boston pointed to places that never flooded before, that went under with the bomb cyclone called “Grayson”. He called it rising seas, from global warming, right on national TV. Another snowmeggadon hit Spain, while the Netherlands was warmer than Rome. It’s all upside down. In my opinion, the weather has gone off the rails. The climate shift is showing itself about 30 years earlier than expected. It is still hard to prove that our current strange weather is due to climate change, using the time-tried tools available to science. I’ll talk to an American expert in meteorology to find out what we know, and what we don’t. Then we travel over to the UK, to ask the question: is unheard-of warming of the Arctic disrupting weather further south, where hundreds of millions of people live? I can make all this sound more frightening and urgent. I feel that way, and many of us do. But in this show we step back to check our fears with the most solid science we can find. I’m Alex Smith. That’s what we do here, on Radio Ecoshock. Dr. Thomas R. Knutson is a Research Meteorologist for the U.S. National Oceanic and Atmospheric Administration, better known as NOAA. Actually, Tom works in a NOAA operation called the Geophysical Fluid Dynamics Laboratory. He’s written a lot of papers on climate science, including extreme weather events. In this interview, we principally explore new science, which an editorial in the premier journal Nature says “Extreme weather explicitly blamed on humans for the first time – Scientists take the bold step of saying phenomena wouldn’t have happened without global warming.” But we find many other new views of climate change as well. “This kind of confident assertion rarely makes its way into the scientific literature. Yet it appeared in three studies included in a special annual edition of the Bulletin of the American Meteorological Society (BAMS) dedicated to attributing the causes of extreme weather events. If these results hold up, the implications would be profound and unsettling: humanity has already pushed the global climate into a new regime. To be clear, natural variability will always have a major role, but the blame for some of the most extreme weather phenomena — as well as some of the resulting impacts — would rest squarely on our own shoulders. That is a huge and awful step in science, and for the Earth. Knutson and I were set to talk a couple of weeks ago, but ironically his Lab was closed due to a rare and extreme storm that struck New England in the first week of January. Dr. Knutson explains the “bomb cyclone” phenomenon. At NOAA, Tom Knutson helps with a public information web site about global warming and hurricanes. People want to know if global warming is making hurricanes worse. Check out the rest of that article for yourself. Note that other guests on Radio Ecoshock have expressed stronger views about the relationship between global warming and expected hurricane activity. It’s still an open question in science. In that we find it possible that the freshwater melt from fast-melting Arctic glaciers, especially Greenland, may shift ocean currents into a decline of Atlantic Hurricane frequency? In this interview, we also discuss a fascinating earlier paper with Tom Knutson as lead author: “Prospects for a prolonged slowdown in global warming in the early 21st century.” That was published November 30, 2016 in Nature Communications. Essentially, people were asking if various factors might make the impacts of warming less extreme than thought. The authors checked it all out, and concluded the odds of a prolonged slowdown in warming are very small. Now you know. What they did find is very useful. Global warming so far has NOT escalated in an even line as we often see in climate projections. Instead, it develops in periods of heating, followed by a kind of plateau, and then another round of heating. My reading is that we have come out of a relatively short plateau period, into a series of record hot years in 2015, 2016, and 2017 – the three hottest years on record. While 2017 was the second hottest year ever recorded (behind 2016), it was the hottest year ever without the driver of El Nino. Keep that in mind. So far warming has not been an even ramp, but a staircase. Of course now we are entering an experimental phase of climate shift driven by our species, so that is very new. Anything is possible. As the December Editorial in Nature says “The weird weather just keeps on coming.” They cite the Lucifer heat wave last August, big hurricanes, and California drought and fires. Just in the beginning of this new year, we’ve had rare snows in the Sahara, and Australia is roasting with heat beyond belief. Americans are whip-sawed between Arctic chills and mild temperatures, sometimes within the same 24 hours. Tom Knutson, as non-scientists, simple citizens going through all this, it feels like we’ve cracked through some barrier, where weather crazy is the new normal. For me, one important take-away from this talk with Dr. Tom Knutson is for all of us to avoid a common pitfall. We know that climate is the stage where many other acts and actors take place. A shift in climate affects so many things, from acidity of the ocean to survival of plants and animals. But when talking with others, we have to avoid the tendency of proclaiming that everything that happens is because of climate change. There are other potent forces at work in Nature, and world systems have been variable for several billion years. That is why we have science, to check our illusions against reality. Let’s be strong and sure of those things that are strong and sure, and leave room for doubt and limitation on other things. That way, the public will not become confused and disillusioned, when a small part of a climate belief turns out to be wrong. Let a complex world be complex. America just went through a punishing round of extreme winter weather. First the bomb cyclone hit, then an “Arctic Vortex” swung down with bone-chilling temperatures. We know the climate has been destabilized, year-round. Behind the scenes, scientists are asking: is a rapidly warming Arctic creating winter chaos further south? Can sea ice levels predict a month of cold in Northern China? What about North America or Europe? Dr. Edward Hanna is a scientist who knows what we know so far. 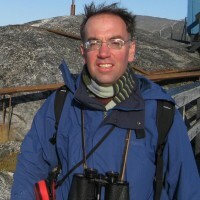 He is a Professor of Climate Science and Meteorology in the College of Science, at the University of Lincoln, UK. With over 100 peer-reviewed papers published, Hanna was also a contributor to the 2013 assessment by the Intergovernmental Panel on Climate Change. But we talk mostly about a paper Professor Hanna co-authored in 2015, titled: “The melting Arctic and midlatitude weather patterns: Are they connected?“This is an open access paper from the Journals of the American Meteorological Society, full text here. With a little work, this paper can be read by a non-scientist. There are no complicate math equations, and the progression of the text makes sense. A year ago, I discussed this problem with American climatologist Judah Cohen. He works with a private firm that provides weather forecasts for large institutions, including the military. Cohen agreed with what I found in this new paper with Hanna et al: at some level, it matters less whether we can prove 100% that Arctic changes are re-shaping our weather – we can use the observations to make decent forecasts. For example, if we know the state of the sea ice over the Barent-Kara Seas, relative to previous levels, we can predict the probabilities of persistent cold spells in East Asia, namely Kazakhstan, Mongolia, Northern China, and perhaps Korea and Japan. The arrival of the cold can be predicted by atmospheric changes 5 to 6 days earlier. Last January, Dr. Cohen predicted another colder winter this year of 2017/18 for North America – even though the world as a whole continues to get warmer. That seems unfair, but there are strange climatic forces at work. On You tube, I just watched an old TV documentary on “The Big Freeze” in the UK. That was in 1963, when roads and railroads were obliterated by deep snow lasting well over a month. So there have been severe storms in the UK and northern Europe for a long time. You can hear a few brief clips from that documentary in this week’s show. We also discuss a 2016 paper with Hanna, Radio Ecoshock guest Jennifer Francis, James Overland and a half dozen distinguished scientists published in Nature Climate Change – “Nonlinear response of mid-latitude weather to the changing Arctic” Dr. Jennifer Francis of Rutgers is a co-author of Hanna’s 2015 paper. In North America, she led the charge suggesting that changes in Arctic sea ice are linked to observed changes in the Jet Stream, including a slower shift in weather patterns, and a meandering north and south. 2. Low-temperature anomalies near Greenland creates a blocking which flows persistent cold into eastern North America. What happens in Europe is less clear. Think about that: different from anything humans have witnessed before. On another front, there is a dribble of better news for climate science coming out of the United States. Eric Roston from Bloomberg news reports “Climate Scientists Exiled by Trump Form Panel to Continue Work“. Scientists from a federal advisory committee demolished under Trump, are self-organizing with help from Columbia University’s Earth Institute. 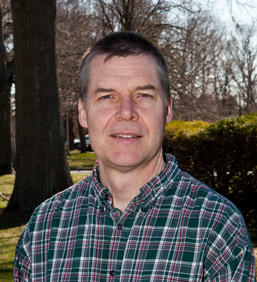 The shadow panel will be led by Richard Moss from the University of Maryland. The group will issue a report on the local impacts of a warming Earth. It looks like New York State and the American Meteorological Society will help fund the venture. Another non-profit organization in Washington, “Resources for the Future” will continue to compute a key indicator called “the social cost of carbon”. That includes health risks, coastal flooding losses, and many other factors to compute the true cost of carbon per ton. That’s a figure that coal-boosting Trump did not want us to hear. Before Trump took office, scientists raced to download and save scientific data from the Environmental Protection Agency and Department of Energy, on fears the incoming administration would remove it or make it harder to access. The EPA itself eventually got in on the act. A permanent banner across the top of www.epa.gov and an item at the bottom of the page link readers to agency’s site as it existed on Jan. 19, 2017 — the day before Trump took office. That was a quote from Bloomberg news published January 4th, 2018. As we’ve heard from both our guests today, a good deal of climate science will carry on as meteorology. Everyone, from corporations to insurance companies to agribusiness needs fairly reliable weather forecasts. The military does too. Those predictions can no longer be made without knowing climate science, and the expected impacts in a rapidly changing base climate. Keep an eye on the weather scientists, the meteorologists, to find more cutting edge climate science. Other countries, especially France, are already recruiting and funding former American scientists. Germany has developed a very strong climate science program for many years, and I’m hearing more great science from Britain. Both countries are known as places where science of all kinds was born. Australian scientists are still contributing a lot, despite discouragement and disbanding by their coal-loving government. Frankly, my own country Canada has not yet recovered from ten years of climate repression by the Harper government. It’s pretty quiet here. The new stars of climate science are coming from China. Some Chinese scientists have been recruited by American universities, others remain on the mainland. But when I scan through important new climate science, time after time I’m finding Chinese authors as the lead authors. America’s loss is becoming China’s gain, but world science is becoming the winner. That’s it for this week. Sorry this blog was posted late. We had a long power blackout, which is unusual for this region. A tree fell on a major power line high in the mountains, during a weird rain storm during January. It was no problem for us. We already heat with wood, so the house was toasty warm. when we were younger, my wife and I lived for 10 years without electricity. We brought out the old coal-oil lamps and candles, and enjoyed an evening unplugged from the world. As always, my deep thanks to the people who support this radio show of science and activism. You can add your support here. Sounds like a good one! 55F tomorrow here at 8000ft in the Central Rockys of Colorado…We’re under 50% snowpack and the lowest in 30 years. 1940 to 1970 slow down in warming was due to increase in coal burning that produced lots of SO2 that reflects some of the sunlight which in turn caused acid rains over eastern America for instance. knutson talks about trends over long term, b ut not whether they are linear or exponential. I wonder if the 1940+ pause was also due to the war destruction putting particulate into the air and the massive burning of fuels.